Welcome to SOSA Gliding Club, one of the oldest and largest clubs in Canada. Our mission is to foster the art, science and practice of soaring, to the sport’s highest standards. SOSA is a non-profit, volunteer-based organization with more than 150 members. We are proud to be known for our high standard of excellence throughout North America with many pilots winning competition awards from around the world. The club owns the Rockton Airport that has three grass runways, two hangars, a workshop, a clubhouse, three tow planes as well as a complete fleet of single-seat and two-seat gliders. In addition, there are many privately owned gliders on the airfield. 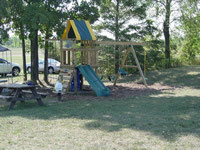 There is an extensive campground as well as shower and kitchen facilities in the clubhouse. 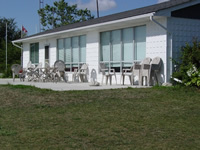 Many members keep a house trailer on the property and camp at the club on weekends and throughout the summer holidays. 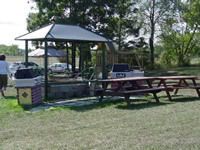 The airport is a short drive from Cambridge, Ontario and is adjacent to the famous African Lion Safari. SOSA pilots engage in all types of flying from training and local soaring flights to aerobatics as well as advanced cross-country soaring and racing in competitions. There are several National Champions and record holders among the club members as well as National Team members.